Comic-Con: DC’s Legends of Tomorrow Season 4 Trailer Arrives! The CW has released the official DC’s Legends of Tomorrow season 4 trailer, which you can check out in the player below. Let us know what you think in the comments! Season 4 of DC’s Legends of Tomorrow will premiere on Monday, October 22 on The CW. After defeating Mallus by cuddling him to death with a giant stuffed animal named Beebo, the Legends were ready to ease off the gas. That was until Constantine arrived to inform them that, in solving one major problem, they have created another, much larger one. When the Legends let time crumble in order to release and defeat Mallus, the barrier between worlds softened. History is now infected with “Fugitives” – magical creatures from myths, fairytales, and legends. Having been expelled throughout time by people like Constantine, these Fugitives are now returning to our world in droves and making a real mess of things. So when all hell breaks loose, who ya gonna call? That’s right, the Legends! DC’s Legends of Tomorrow stars Brandon Routh as Ray Palmer/The ATOM, Caity Lotz as Sara Lance/White Canary, Dominic Purcell as Mick Rory/Heat Wave, Nick Zano as Dr. Nate Heywood/Steel, Maisie Richardson-Sellers as Vixen, Jes Macallan as Ava Sharpe, with Courtney Ford as Nora Darhk, and Matt Ryan as John Constantien. 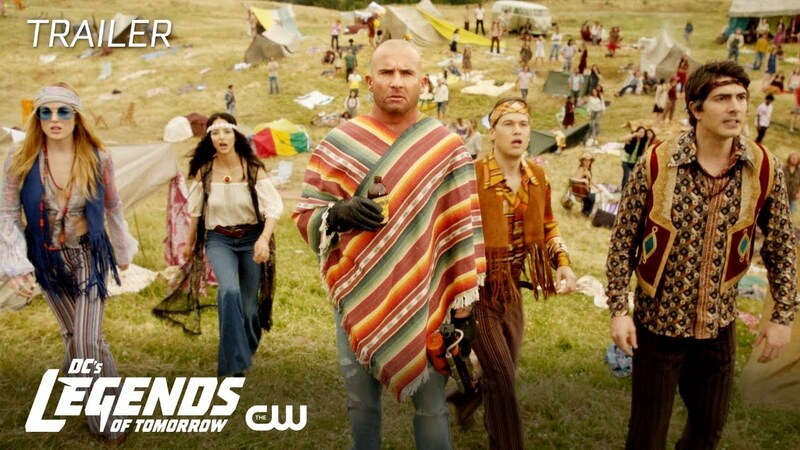 Based on the characters from DC, DC’s Legends of Tomorrow is from Bonanza Productions Inc. in association with Berlanti Productions and Warner Bros. Television, with executive producers Greg Berlanti, Marc Guggenheim, Phil Klemmer and Sarah Schechter. The post Comic-Con: DC’s Legends of Tomorrow Season 4 Trailer Arrives! appeared first on ComingSoon.net.